It’s back to school for Canberra students next week, which means that the city is well and truly out of its quiet January slumber. It also means that there’s plenty to do in the nation’s capital this weekend. Sophia Carlini is heading to R&B night at Treehouse on Friday night, and trying out for Fashfest on Sunday. Good luck Sophia! John Hargreaves’ band, The Old 45s, are performing at the Burns Supper at the Burns Clun on Saturday. Tickets are available from the club. Heather Lansdowne is watching the University of Canberra Capitals take on Adelaide at the AIS Arena tonight at 7pm. In sport, there’s the 50km Duo Classic mountain bike pairs race at Sparrow Hill and East Kowen Forest on Saturday morning, and the YWCA Canberra’s Women and Girls Jogalong at Weston Park on Sunday at 8am. 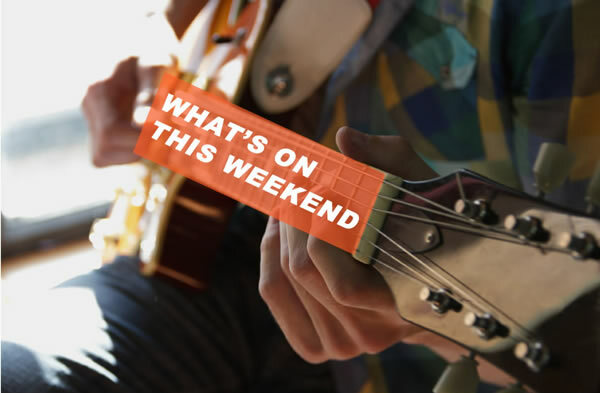 If sport’s not your thing, it’s a busy weekend for the arts, including the international improvisation, jazz and experimental music festival SoundOut 2015. Sessions run on both Saturday and Sunday at ANU Drill Hall Gallery, with artists from Australia, Austria, Germany, New Zealand, Norway and Switzerland. On Friday night, RAW Canberra presents Visionary (a showcase of artists in film, fashion, music, visual art, photography, performing art, hair and make up) at Belconnen Arts Centre from 7.30pm. Then on Saturday night, film, comedy, music and arts festival Flix in the Stix is on at the Botanic Gardens. For something a little different, head to Murrumbateman on Saturday afternoon for the Poacher’s Way Twilight Experience. Take a horse ride through the trails at Burnelee Excursions, followed by a smoked meats tasting from Poacher’s Pantry and some local wine. It’s part of the Summerside Festival, which officially launches this weekend. Tickets are $105 and available online. And while we’re talking about food, visit the Old Bus Depot Markets this Sunday for some delicious international cuisine from Spain, Laos, Ethiopia, France and Mexico. The markets are celebrating Canberra’s rich and diverse multicultural community with International Day, which will also feature stallholders selling handcrafted statues from Africa, silk handbags from Thailand, Russian baboushka art and more. Sunday is also World Wetlands Day, and a community event is on from 10am-2pm at Jerrabomberra Wetlands to mark the occasion. Bring a picnic lunch and experience unique wetlands in the heart of Canberra. Finally, enjoy the summer sun at Museum Bar at the National Museum of Australia for its regular Steamy Sundays event from 2pm. Enjoy food and drinks from Broadbean Catering and beats by Brother J (Superbreak) as you soak up the last of the weekend and hope that Monday takes a long time to get here. Tags 1st February 31st January What's on this weekend?